As New York Governor Andrew Cuomo pushes legislators to legalize marijuana, concerns are being raised about the issue of potential drugged driving. Buffalo drivers need to know what drugged driving is, how driving high could affect them, and how the legalization of marijuana could potentially change the law. The answers to these questions are unclear as the debate over legalizing marijuana continues. 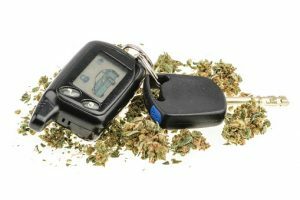 The New York Office of Alcoholism and Substance Abuse Services (OASAS) states that Delta (9)-tetrahydrocannabinol (THC), the most important psychoactive substance in cannabis, is often detected in blood from drivers suspected of drugged driving. The OASAS states that although these effects are known, most laws relating to impaired driving have dealt with alcohol. According to the Governors Highway Safety Association, drugged driving is more complicated than drunk driving for several reasons, including limited data and the lack of a single test to detect the hundreds of drugs that could influence a driver. How is drugged driving tested and how can driving high affect you? Officer Albert Wheech of the Rochester Police Department is one of the 15 to 20 Drug Recognition Experts, or DREs, in the county, according to a report by WHAM. Wheech, who said he makes about 200 arrests a year for both DWI and DUI, told the ABC affiliate that all DREs go through extensive training to learn how to detect an impaired driver. He also said there is a marijuana pre-test similar to a breathalyzer; however, it is expensive. Police departments throughout the state will need to consider how and when to invest in training and equipment of this kind. Driving high can be just as dangerous as driving drunk, creating the same risks for all vehicles on the road. In Monroe County, alcohol or drugs played a role in 15 fatal crashes in 2017. It was the same number in 2016. We should expect to see this number increasing. A study co-authored by Dr. Guohua Li, director of the Center for Injury Epidemiology and Prevention at Columbia University Medical Center, found that car crashes involving a driver under the influence of painkillers have tripled in the past 25 years. Injured in a drugged driving accident? Contact us! As Buffalo and all of New York inches closer to legalizing marijuana, the Law Offices of James Morris continue to stay on top of potential changes in laws. If you have been injured in an accident caused by a driver under the influence, contact the Law Offices of James Morris for a free consultation. This entry was posted on Monday, March 18th, 2019 at 3:41 pm and is filed under Auto Accidents. You can follow any responses to this entry through the RSS 2.0 feed. Responses are currently closed, but you can trackback from your own site.